day 0: hayan temple - 2107 hours. the moonlight serves as a gentle blanket to all who feels the moon&apos;s cold warmth, like a queen would to her subjects. the stars, her children, cackle and dance, both in the sky, and in yerim&apos;s eyes. the immortal girl&apos;s fair (oh-so pale) fingers were laced together, with only the wind as a companion. she flips a coin. it flies up into the air, like how her younger self used to do during her childhood. she doesn&apos;t remember the times of her mortality that well, but she knows that they were much better times, with an abundance of imperfections and cracks in marble. a young little girl sits crossed-legged, peering into the distance. the navy sky mirrors the horizon in her eyes, as capricorn makes itself known amongst dark hues. younger, mortal yerim was born with blonde hair, like strands of sunlight bathed in a honey glow. the light from the moon caresses her golden strands gently, as if the moon is embracing her lover, the sun himself. "pa, let&apos;s go up to the hills tonight. i&apos;d like to go fly," the little girl mumbles. short arms reach up towards the sky, believing that she could grasp the heavens in her hands. in the future, she&apos;ll learn that the feat is a true possibility, and the stars will not actually slip through her slender fingers like sand as she seizes the map of her eyes in them. the man who sits next to her, her (foster?) father, barks out a laugh, like wind chimes during airy breezes. "silly girl. stars like you don&apos;t fly." in the sky, her small self sees a white comet fall through the darkness, quick like a rocket. it shatters through the atmosphere like rocks through glass, and the stars only watch, mumbling worriedly to their fellow brothers and sisters. 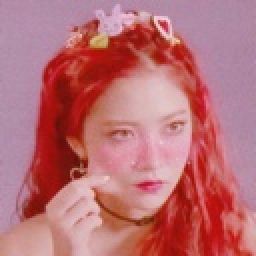 the shooting star appears in her eyes as well as it falls further, and yerim chews on her lip nervously when she feels phantom pain at the back of her sockets. the man smiles, albeit melancholically. yerim hears screams in sky, as if the sad cluster of stars were all mourning the dead brother who finally met his end. "stars like you only fall and die, kid." yerim steps back, letting the coin fall into the well (just like how she let her sisters fall before her), and looks into the water, watches as the clear body ripples and glimmers when cold moonlight spills into it. her eyes glaze over, over time (vibrant to hazy, much like her youth). dull colors blur and blend into much brighter hues, the telltale void most seers see before a vague future. she sees herself turning a wheel, sees a future changed and altered (the wheel creaks loud in her head, being old and unused for so long). the sun falls, and rose petals scatter, crimson like blood that is about spill. she sees herself, amongst her sisters in the stars, as peaceful as the dead. 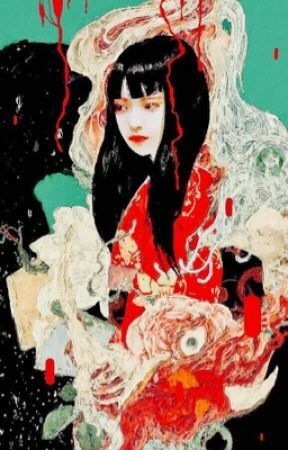 the scenery shifts, and there yerim sits in front of the weaver himself, as he idly plays with his strings of fate, starry eyes gazing down at her through dark blue lashes. scented candles are lit all around them, emanating the aroma of apricots, sweet and numbing to the senses. "you&apos;re driving my work in circles, fortune. one day you&apos;ll end up tangling me in all these fates," he sighs, acting fatigued as rosy locks fall into his eyes, curtaining his undeniably beautiful face. he takes a pair of scissors, and cuts the only red string amongst white, the snipping sound echoing loud in her ears. he stares into her stars silently as he severs one nameless soul&apos;s chord, citrine doe eyes glinting in the dim warm light. the stars in her eyes glare back at him, unfazed.